FRANKFURT -- Volkswagen AG ordered an external investigation after U.S. regulators found software the carmaker designed for diesel cars gave false emissions data, CEO Martin Winterkorn said Sunday, adding he was "deeply sorry" for the violation of U.S. clean-air rules. "We do not and will not tolerate violations of any kind of our internal rules or of the law," Winterkorn said, adding the company was fully cooperating with U.S. government agencies. Cynthia Giles, an enforcement officer at the EPA, said the cars in question "contained software that turns off emissions controls when driving normally and turns them on when the car is undergoing an emissions test." VW also ordered U.S. dealers not to sell any remaining 2015 models with 2.0-liter diesel engines, The Detroit News reported. The EPA has also refused to grant VW a “certificate of conformity” to sell 2016 model diesel cars with 2.0-liter diesel engines. VW is barred from selling 2016 model vehicles with the 2.0 liter diesel engine until “they get answers to the questions of how these vehicles are being operated. Volkswagen couldn’t explain why we’re getting these excess emissions,” Christopher Grundler, director of the EPA’s Office of Transportation of Air Quality, told the paper. 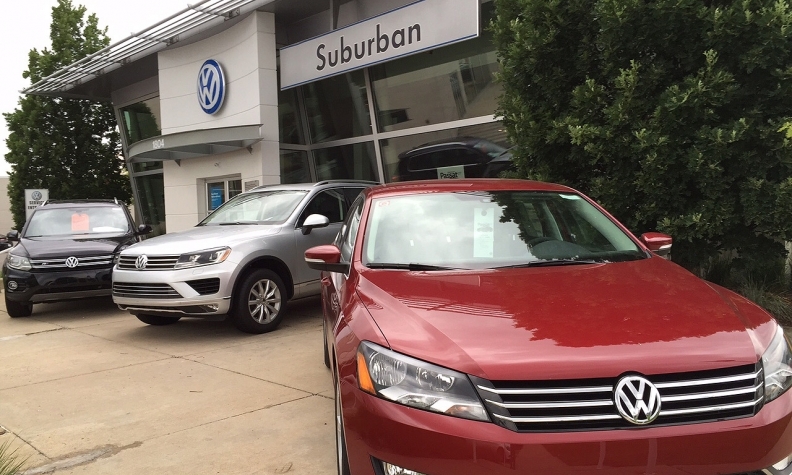 Because diesel models can account for 20 to 25 percent of the VW brand's U.S. sales each month, the ban is expected to put a major dent in the company's volume and slow its turnaround efforts in coming months. Bloomberg, Reuters and David Phillips contributed to this report.